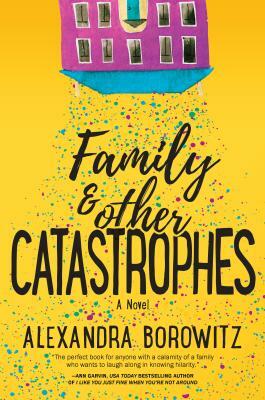 "A zany, heartfelt, and laugh-out-loud funny debut." --HelloGigglesEmily Glass knows she's neurotic. But she's got it under control. Sort of. Thankfully, she also has David, the man she'll soon call husband--assuming they can survive wedding week with her wildly dysfunctional family.Emily's therapist mother, Marla, who's been diagnosing her children since they were in diapers, sees their homecoming as the perfect opportunity for long-overdue family therapy sessions. Less enthused are Emily and her two siblings: ardently feminist older sister, Lauren, and recently divorced brother, Jason. As the week comes to a tumultuous head, Emily wants nothing more than to get married and get as far away from her crazy relatives as possible. But that's easier said than done when Marla's meddling breathes new life into old secrets. After all, the ties that bind family together may bend, but they aren't so easily broken.